This might be stating the obvious, but in the event of an EMP, things will not be the same, no matter how great your generator is. Billionaire hedge fund manager Paul Singer is warning investors – and more broadly, lawmakers and leaders – about the potential destructive power of an electromagnetic pulse, or EMP, which could be triggered by solar events or artificially, via blasts in the atmosphere. We’ve all read many articles about the likelihood of grid failure. We’ve been warned again and again that it isn’t a matter of if, but when, it happens. Because of this, a lot of people are preparing for a very different future. Folks are getting ready for the Big Blackout. The thing is, I am not sure everyone is thinking this through. Many people are spending buckets of money on preparations to try to keep their lives as similar as possible to how they are today. They’re investing in diesel generators and Faraday cages to protect their electronics. They are buying propane-fueled appliances. They’re stashing away fuel to run these gadgets. Generators are not a practical investment for EMP preparation. The problem with that method of preparation is, the fuel-generated lifestyle will only last for as long as you have…well…fuel. Very few of us have enough storage space or the proper facilities to store 5 years’ worth of fuel. If the power grid goes down in a catastrophic way, it’s going to take at least 5 years to get things up and running again, and that’s assuming things ever get up and running again in the way they are now. That means that people are spending thousands of dollars investing in items that will only sustain their lifestyles for a brief period of time. Generators are not a long term solution unless you have renewable power. (More on that later). While a generator would be a blessing in a short-term emergency (think a week-long power outage due to a storm), for a permanent way of life they are completely impractical. Furthermore, in the event of an EMP strike, if your generator is not protected, it may not work no matter how much fuel you have stored. Maybe the fact that I’m not rolling in money is the reason I feel this way. Maybe people with lots of money to spare have ideas about how to keep their generators running forever. But for my personal situation, this is a preparation strategy that is completely impractical. A low-tech lifestyle is the best way to prep for grid-down survival. If money is an object in your preparedness endeavors, (and let’s face it, money is an object for most of us these days), then focus your dollars on preps that are sustainable without electrical power. Instead of trying to live the exact same life you are living right now, only fueled by an individual generator, look for low-tech solutions instead. This reminds me of people who stop eating gluten but still want to eat exactly like they have been eating their entire lives, only now with expensive gluten-free baked goods that cost 4 times the price of their wheat-filled counterparts. When things change dramatically, accept the change and adapt to it, instead of trying to maintain the illusion that everything is the same. When my youngest daughter and I lived in the North Woods of Canada, we lost power frequently throughout the year. Lots of folks in the area had generators that they would fire up when the power went out, and that was a viable solution, since gas stations were available and fuel was pretty much unlimited as long as you could afford to go get it. We were on a tight budget, however, and we adapted our situation to live without power during those outages. After the first couple of outages, we had worked out most of the bugs and we even began to look forward to our time without power – it was like a little vacation from the regular workday. As plugged in as our society is, power is not actually a necessity – it’s a luxury, and we can live without it as long as we are adaptable, creative, willing, and prepared. Let’s look at some specific examples of low-tech ways to take care of our necessities. 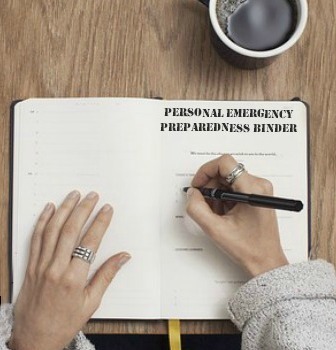 These ideas are just food for thought, based on my own preparedness plan – they may not be the solutions that will work best for you, but the goal here is to brainstorm your own situation and figure out how to live your life low-tech if the need occurs. Homes these days aren’t built to function without a connection to the power grid. If you aren’t fortunate enough to live in an older home that was designed for off-grid living, look at some ways to take your home back a century or so. A secondary heating system is vital in most climates. Not only do you need access to food, but you also need a way to cook it and a way to keep your refrigerated and frozen items from spoiling. If you’re anything like me, have a French Press for off-grid coffee! 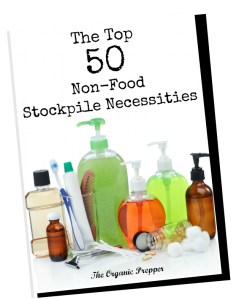 How will you keep clean and deal with human waste in the event of a long-term emergency? Renewable power is practical power. One exception to my no-generators rule is renewable power. If you can afford a solar set up for your home, then very little would change about your day-to-day life, aside from you being one of the few people with power. You don’t have to go totally solar to have power for a few important items. Assuming you have electronics in working order, they can be powered with solar, wind, or water. What will you do when the electrical power goes out? Do you have plans in place for a long-term (or permanent) power outage? Are you planning to use generators and maintain your current lifestyle, or are you planning to go low-tech? Share your opinions and some of your cost-effective ideas in the comments!